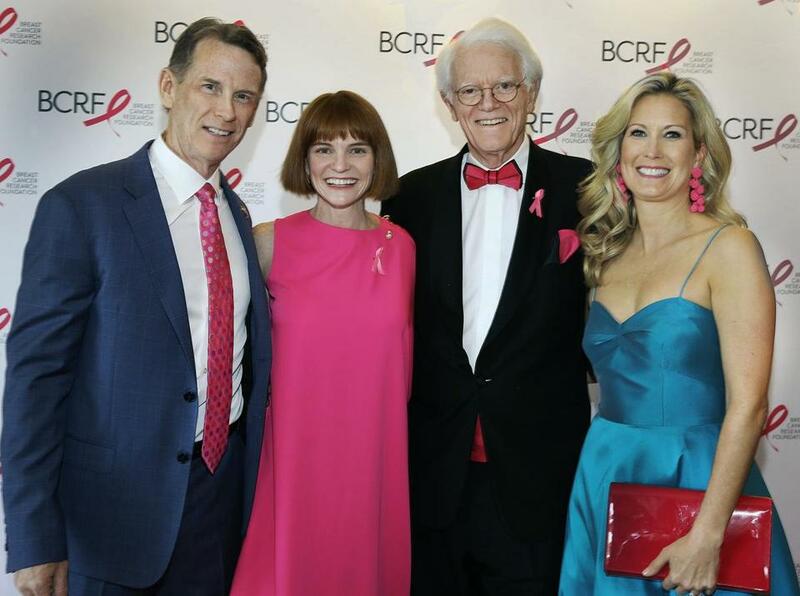 From left: Rob Shanahan, Annie Lukowski, Peter Lynch, and Heather Shanahan at the Hot Pink Party. Boston’s Hot Pink Party, an annual benefit for the Breast Cancer Research Foundation, raised $1.7 million the other night, and there was also plenty of dancing thanks to Rock and Roll Hall of Famer Nile Rodgers, who headlined the disco-themed party at the InterContinental Boston. (Party planner Bryan Rafanelli handled the arrangements.) Heather and Rob Shanahan of Wellesley were honored with the Carolyn Lynch Humanitarian Award for their philanthropy and support of quality-of-life programs for cancer patients and their families. The award is named for the late wife of Peter Lynch, the legendary Fidelity money manager, who was there with their daughter Annie Lukowski.